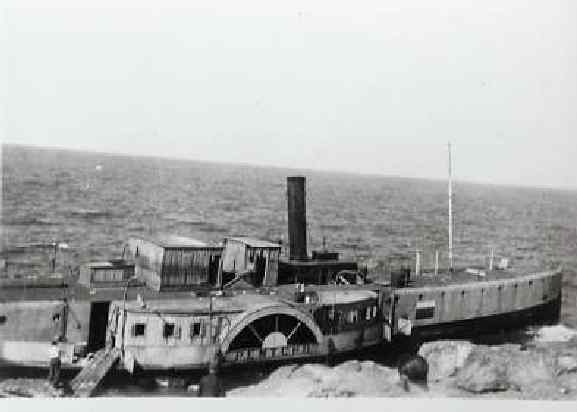 The old Italian paddle steamer Pentcho (also Pencho) was chartered to sail from Bratislava down the Danube. She sailed May 20th with 514 passengers mostly Betar members. The voyage was greatly delayed by the various governments en route. She finally sailed from Sulina, Romania, on 21 Sep 1940 but on October 9th her single boiler stopped working and the ship was wrecked north of Crete on Chamilonesi Island (now called Nisos Khamili). Everyone was rescued by the Italians and taken to Rhodes. All but two were then interned at Ferramonti Camp in southern Italy where they were still when the Allied forces liberated the area in September 1943. In June 1944 they traveled on the Polish liner Batory to Alexandria and then by train to Palestine. Book: The story of the Pentcho has been published as Odyssey by John Bierman.